Complete the form to get immediate access to the sales funnel map. This is one of the tools which has repeatedly helped me to focus my team's sales efforts on opportunities with the best chance of growing sales and increasing success. 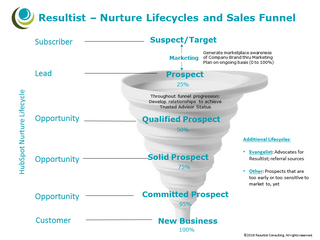 The Resultist Sales Funnel Map can provide your business with the essentials for increasing your business profitability. Every business should be able to experience greater success. I have grown companies through hard times and good - your business can grow as well. Advance your opportunities through the sales funnel to build an accurate forecast and grow revenue.